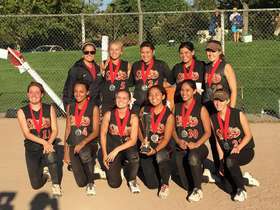 The Starfire softball program consists of an 18U Gold level team, a 16U A team, a 14U A team, and a 12U A team based in the Mountain View-Los Altos area. Currently, our program is made up of players from Mountain View, St. Francis, Los Altos, Homestead, The King's Academy, Cupertino, Amador Valley, and Palo Alto high schools as well as local elementary schools. We use the Mountain View high school softball facility for practice. Assistance in communicating with appropriate college programs via direct contact campaigns, if desired. All "A" level players interested in trying out for the 18U, 16U, or 14U teams are invited to attend (players born in '98, '99, '00, '01, '02, or '03, ). "Spring" season is for 7th/8th grade players only. High school aged players would be trying out for the 2017 summer season. Players may "play up" if their skill level qualifies them to do so. Interested players need only attend one tryout session to make one of our teams, however all players are welcome to participate in more than one tryout session. Starfire Softball will be holding a 10-day softball camp for high school players looking to get ready for the upcoming 2017 school season. Mon-December 19, Tue-December 20, Wed-December 21, Fri-December 23, Mon-Dec 26, Tues-Dec 27, Wed-Dec 28, Fri-Dec 30, Mon-Jan 2, Tues-Jan 3. Each 2 hour session will be split up into 1 hour of hitting and 1 hour of defense...the defensive session will be broken down into 4 groups -- pitchers, catchers, infielders, and outfielders. Each group will be taken through appropriate drills for their respective positions. This camp is for high school players. It will be coached by the Starfire Softball coaching staff including multiple coaches with Division 1 college softball playing experience. Fee for this camp will $10/hour/player. Hitting will take place from 3pm - 4pm. Defense will take place from 4pm - 5pm. Players are welcome to participate in both hours or a single hour. Walk ins are welcome, but advanced sign up is recommended (so that we can be sure to have appropriate coaching on hand). Your name, grade, school, position, and desired dates and sessions you'd like to attend (I.e. 12/19, 12/20, 12/21 for hitting only...or 12/26, 12/27, 12/28 for both hitting and defense (I'm a pitcher), etc). Jackie Hinojosa, a recent graduate from UC Santa Barbara, is now offering one-on-one lessons. 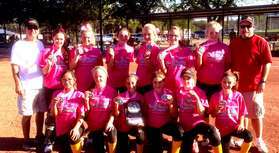 Please see the tab "About Coach Jackie Hinojosa" to learn more about her.